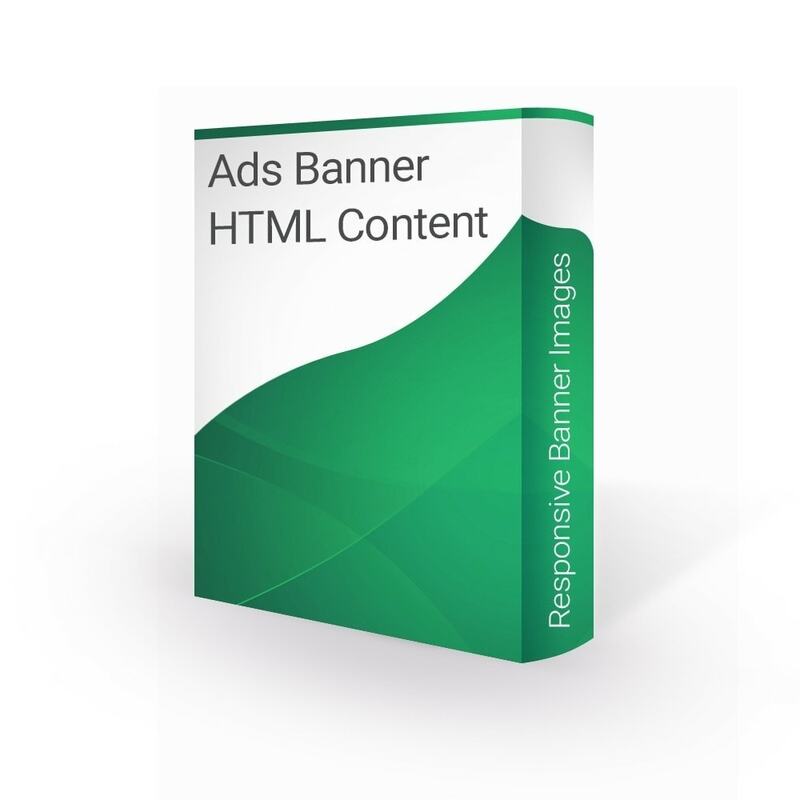 This module is a highly advanced banner ad management and sales tool. Setting up and managing your banners has never been this easy! Create or delete banners, possibility to enable or disable banners. You can choose different images and links for each language. 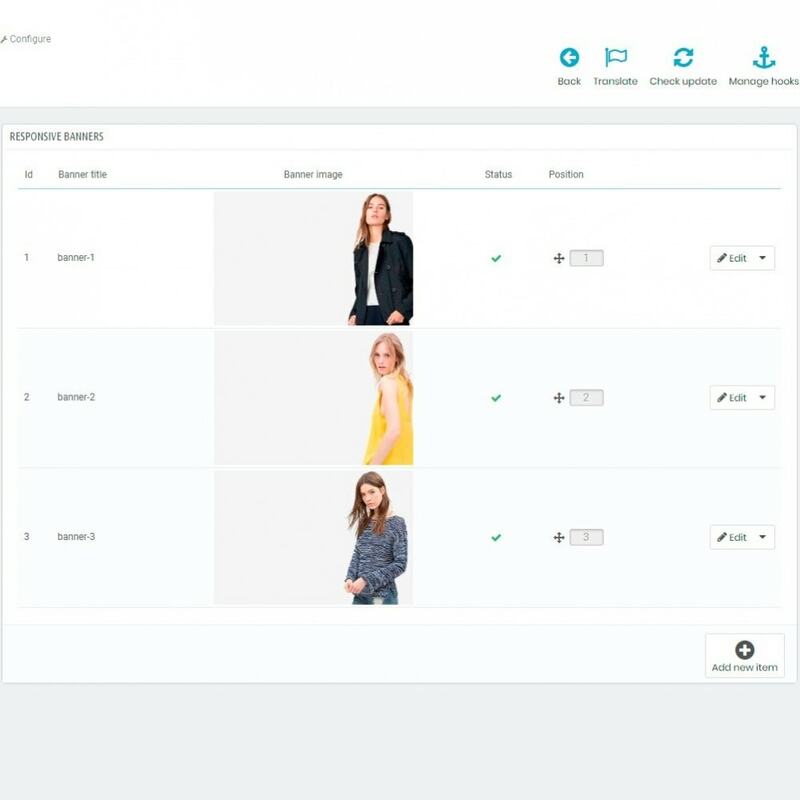 Banners are controlled through PrestaShop admin panel. Professional banners module supports responsive banners and mobile. You can add text, title and link to your banner. Banners optimized for SEO . 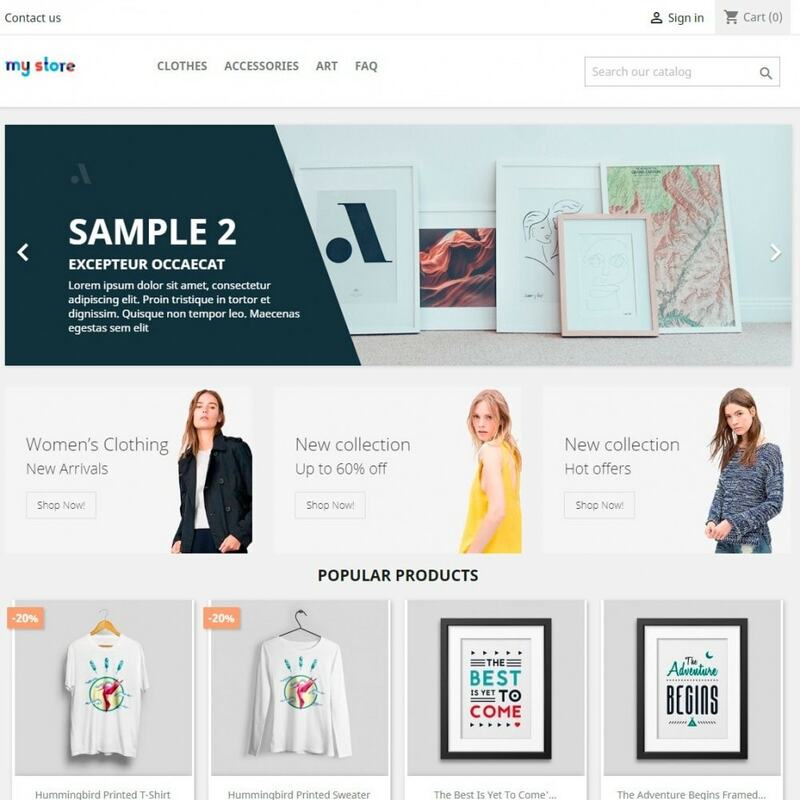 Displayed on any store page and cms page. Awesome Image Slider is a completely new and advanced way to represent your images in slides . Slider is the best way to promote your website by creating amazing sliders with beautiful transition effects. Popup Advertising is an easy to use module that allows you to display image with an announcement or message for your customers in an attractive popup. 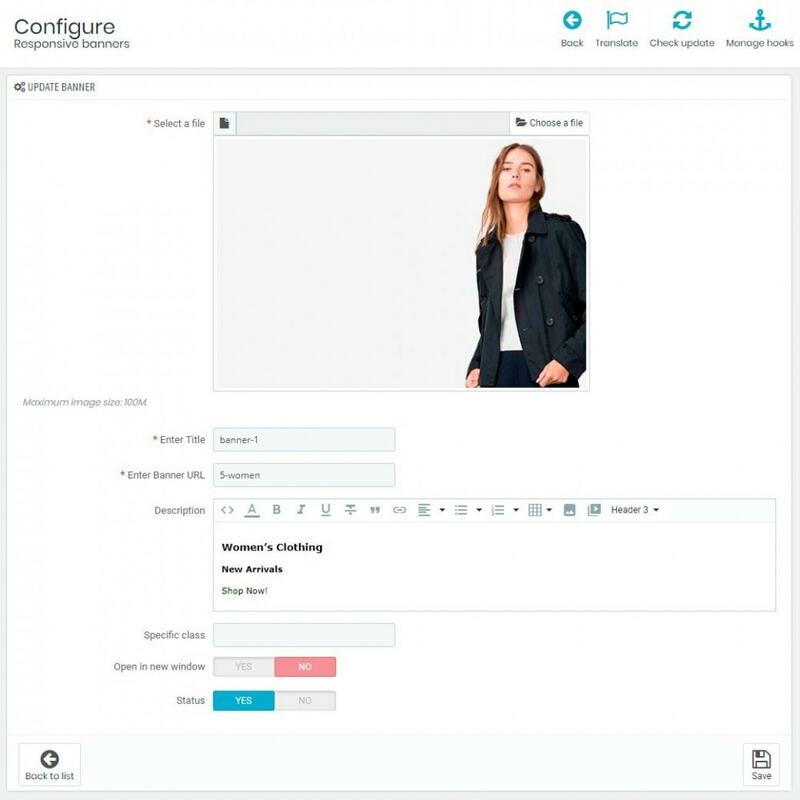 This easy at installation and flexible at configuration module allows you to create attractive Ads Banner Images and HTML content in a couple of minutes!